I’ve been researching fun kids crafts to do this summer and found this adorable tic tac toe board. 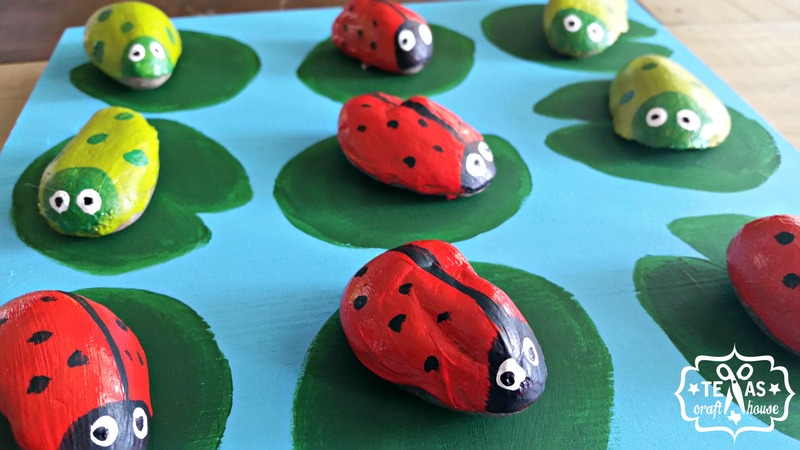 Amy over at Atta Girl Says Blog, posted a simple tutorial making these little tadpoles and ladybugs with outdoor rocks. Lucky for me, I had the paint and the rocks and found the tic tac toe board base at Wal-Mart for a couple dollars.